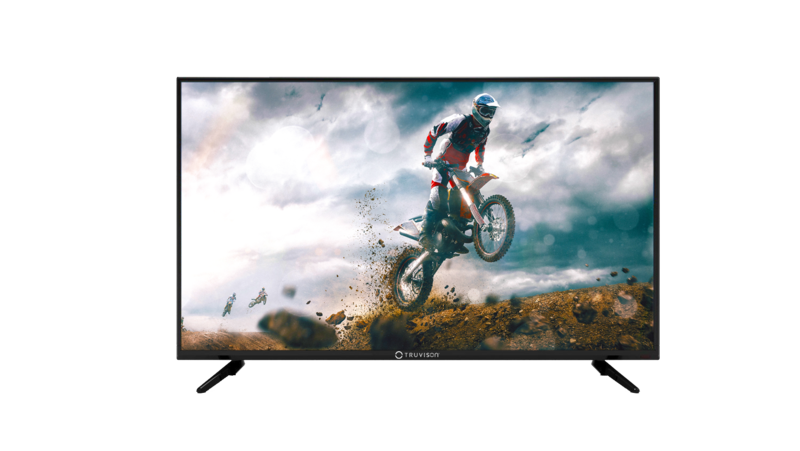 Truvison has launched TW3261 LED TV featuring 32-inches of Full HD screen with the true combination of color, brightness and detail to every visual, enriching your visual experience. Full HD TW3261 is definitely a great blend of style and functionality with slim design, narrow bezel and smooth finish which adds an aesthetic appeal. With 1080 pixel, & Dynamic contrast ratio of 300000:1; experience the brightest and darkest efficiency with its picture enhancement function. The TV is designed with the revolutionary Cornea Technology, reducing the strain affecting your eyes, &amp; also adjusting the screen to ideal color aspects. The 32inch TV comes equipped with advanced sound quality – ‘Clear Voice-2 Technology’ that evenly distributes the HD sound around every corner where it is placed. The TV also has 2 x USB ports, along with USB to USB copy function, to allow you to stream movies and music from your Pen drive or HDD conveniently. So enjoy operating your smart devices on a bigger, brighter and clearer screen. The product with 1 year of Warranty is available with leading retail stores across India.